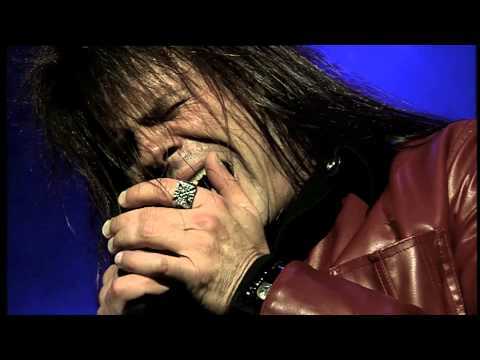 Queensrÿche have been on a hell of a hot streak since they got former Crimson Glory frontman Todd La Torre in and started a band called Rising West, playing material from Queensrÿche’s first EP and first 4 albums, following the departure of their long time legendary singer Geoff Tate. 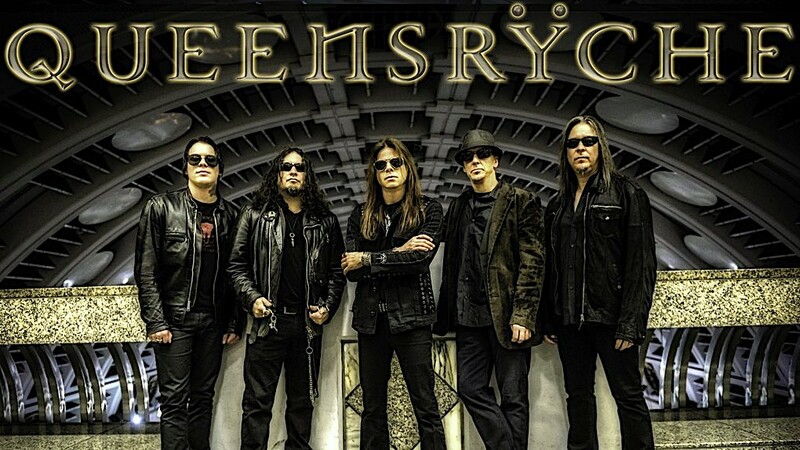 When they changed their name from Rising West back to Queensrÿche, and released their self-titled album in 2013, (with great tracks like ‘Where Dreams Go To Die,’ ‘Redemption’ and ‘Vindication’), it was an utterly excellent batch of material and the ensuing live shows saw the band energised and revitalised in one of the best late-career renaissances in the history of Metal (up there with the likes of Kreator and Accept for later-year triumphs). The following album Condition Human was a strong follow-up that kept up the quality. With all these expectations I had built up in my head, I was fearful I had built it up too much and set myself up for disappointment. After having listened to it both via streaming while I waited for the postman, and on CD repeatedly after delivery, I am happy to inform you that not only is it not a disappointment, but rather it is the best Toddryche album to date. Arguably the band’s best album in a very long time at all, Todd or no Todd. 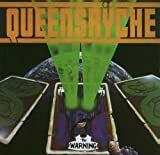 Even from myself, who doesn’t dislike any Queensrÿche album, (even the controversial ones), this ranks easily in the top half of their discography, top quarter even! I hate statements like “it’s the band’s best album since…’’ but in this case, it really feels true. 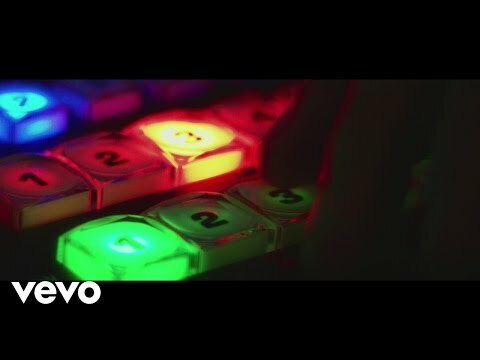 The production, (once again by ‘Zeuss’) is brilliant. All instruments are clear and distinct, you can hear the bass at all times, you can separate each guitar from each-other and the drums sound fat and powerful. 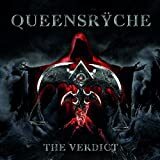 Speaking of drums; Now that singer Todd La Torre is also playing drums this time around as well as his singing duties while classic drummer Scott Rockenfield is on paternity leave, you also get some drum styles you don’t usually hear on a Queensrÿche album. (Have a quick listen to ‘Launder The Conscience’ and ‘Light Years’ and listen to the beats to see what I mean). The press prior to this saw Whip telling everyone that this was their heaviest and most progressive album in a while. Usually statements like that are always wrong. Strangely though, again, in this case, it really feels true. There are some nice heavy moments on here; such as the aforementioned pre-released tracks, ‘Man The Machine and ‘Blood Of The Levant’ as well the very crunchy ‘Inner Unrest’ amonst others, and furthermore, there are some great proggy moments; such as ‘Bent,’ ‘Portrait’ and ‘Inside Out.’ There’s moments that recall the middle-eastern vibes of their American Soldier and Tribe albums, there’s some of the bass-driven textured stuff like their underrated Operation Mindcrime 2 album, and there’s some of the trippy expansive stuff reminiscent of their Promised Land album. As well as the heavy and proggy stuff, there is just loads of great, catchy, accessible Hard Rock meets Heavy Metal material that has been the core thing tying all of the band’s albums together to date. You can hear bits that sound like the last two albums, like calssic material such as Rage For Order and all sorts of new things as well. Overall; its yet another strong Queensrÿche album, but more than that, it is an interesting album, with a strong production, a great range of material, and some of their honestly best material in years, even if they have already been on a very strong run. 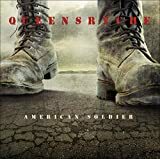 "American Soldier" is the 11th full-length studio album by US hard rock/heavy metal act Queensrÿche. The album was released through Rhino Entertainment in March 2009. After playing on "Tribe (2003)", and becoming a permanent member of the band on "Operation: Mindcrime II (2006)", guitarist Mike Stone made his last appearance on a Queensrÿche album on the covers album "Take Cover (2007)". 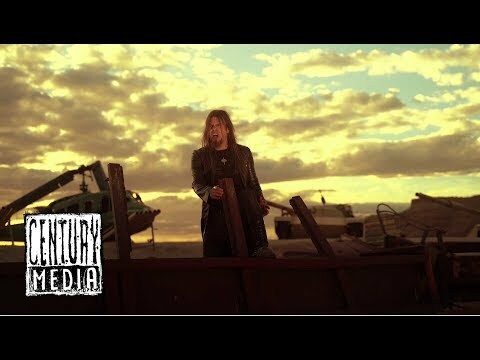 Therefore "American Soldier" was recorded by the four-piece Geoff Tate (vocals), Michael Wilton (guitars, backing vocals), Eddie Jackson (bass, backing vocals), and Scott Rockenfield (drums, percussion). 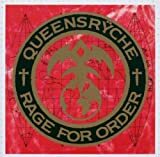 Stylistically the music on the album is hard rock/heavy metal and unmistakably the sound of Queensrÿche. Although there are many differences, there are also some similar traits to especially two of the band´s previous releases and in some ways the music sounds like a combination of the music style "Promised Land (1994)" and "Tribe (2003)". 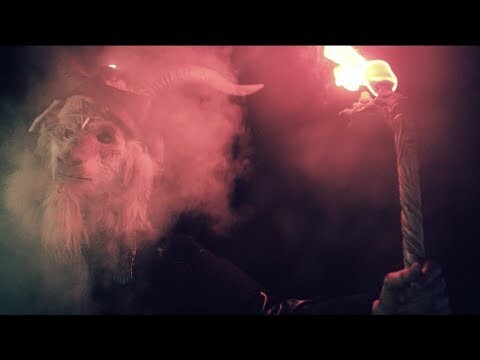 The use of saxophone on a couple of the songs of course leads my thoughts toward the former while the dark mood and heavy riffing remind me of the latter. "American Soldier" is a concept album where the lyrics (as the title suggests), are about American Soldiers in times of war and peace. As the liner notes say: "This record is dedicated and was inspired by stories from soldiers who have served America during times of war and peace. Thank you!". A celebration of the men and women who have made sometimes great sacrifices to keep America safe. The stories are generally melancholic and are meant to bring awareness to the problem that many war veterans have a hard time adjusting to society when they return home after serving their country in foreign lands. There are also some tracks about having to deal with a bad conscience having killed people in the line of duty. The songs are centered around the powerful vocals and strong vocal lines by Geoff Tate. 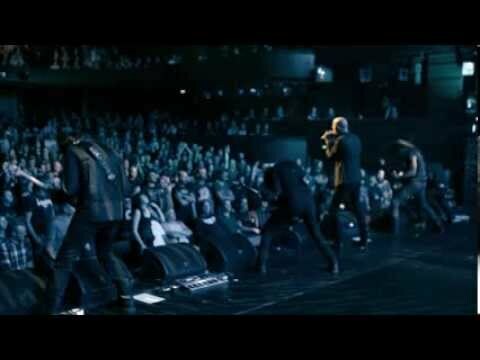 There´s a guest appearance on the song "Home Again" when Geoff Tate sings duet with his 10 year old daughter Emily Tate. The tracks feature many samples with soldiers speaking about their experiences which works well for the atmosphere of the album. Not surprisingly the musicianship is top notch and "American Soldier" also features a professional and well sounding production, but in the end the album becomes a bit too predictable and formulaic vers/chorus styled and a slightly more playful and adventurous songwriting approach could have elevated the album to a higher state, because "American Soldier" definitely has the potential to be something special. As it is it´s an album featuring some moments of excellence, but also quite a few more unremarkable parts. A 3 - 3.5 star (65%) rating is warranted. "Operation: Mindcrime II" is the 9th full-length studio album by US heavy metal/hard rock act Queensrÿche. The album was released through Rhino Entertainment in April 2006. 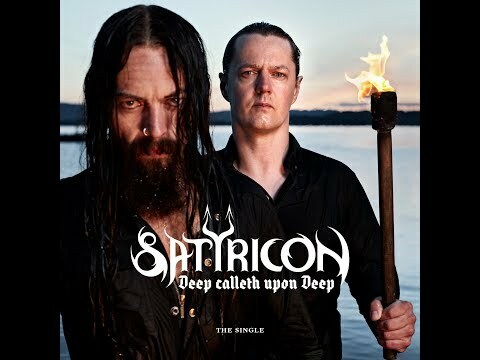 It´s the successor to "Tribe from 2003 and features one lineup change since the predecessor as guitarist Mike Stone has now become a permanent member of the lineup (Stone recorded some parts on "Tribe (2003)" but wasn´t a permanent member of the band on that album). "Operation: Mindcrime II" is a concept album and a sequel to "Operation: Mindcrime" from 1988. An album which is widely considered the band´s crowning achivement, although "Empire (1990)" was the more commercially successful release. Turmoil within the band meant that most of the album was written by lead vocalist Geoff Tate and new guitarist Mike Stone, while the rest of the band only contributed small parts to the album and didn´t record much either. Many parts were recorded by session musicians. 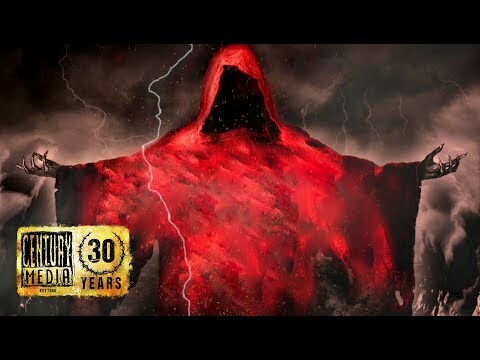 The concept story starts where "Operation: Mindcrime (1988)" left off, only 18 years down the line, with protagonist Nikki being released from prison after serving his time for the murder of Sister Mary (who we know was actually murdered by Dr. X). The album goes through a wide range of Nikki´s emotions and actions, from anger, despair, and him questioning his own sanity, to another arrest, and him being on the run. Finally he gets his revenge over Dr. X when he kills him, but finds no solace in his deed, and ends up committing suicide. The story ends with Nikki´s spirit being reunited with Sister Mary´s in the afterlife (maybe in heaven?). So the stage is set for another epic concept story like the original from 1988 and in some ways the concept works well. Musically though "Operation: Mindcrime II" has a hard time competing with "Operation: Mindcrime (1988)", as it predominantly continues the hard/heavy rock trend of the last couple of albums, which means the quality is alright, but there are only few standout tracks, and quite a few less remarkable ones. When they occassionally touch heavy metal territory they shine a bit more, and it becomes even more apparent what the less remarkable tracks on the album lack, and that´s attitude and heavy metal power. 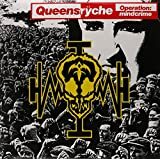 "Operation: Mindcrime II" is their most heavy metal oriented release in years though, and Queensrÿche should receive some praise for that. Not surprisingly the musicianship is on a high level, and Tate was still a skilled and powerful singer at this point. The performances may be delivered by seasoned professionals, but it´s not instrumental performances dripping with sweat and raw emotion. 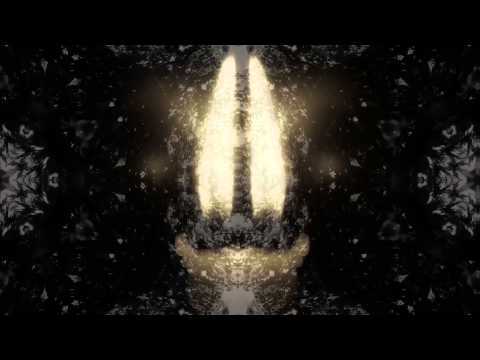 It all sounds rather cold, flat, and calculated, and if it´s true that the other members didn´t contribute many parts to the album, that´s probably a good explanation, because however lacklustre some of their mid to late 90s releases are, they were always clearly performed with the right amount of passion and conviction. The flat and compressed sound production does not make things better, and especially the drum sound is a bit of an abomination. Sometimes I´m in doubt if the drums are actually programmed rather than played by a human drummer. It´s safe to say it doesn´t sound like Scott Rockenfield playing. Of course even a world class drummer like him can have his performance ruined by a drum sound like the one on this album, but I´ll be very surprised if I learn that it´s him playing here. So much is ruined by the sound production and the somewhat lifeless instrumental performances, but "Operation: Mindcrime II" is still relatively well written and enjoyable to some extent while it plays. It´s not the triumphant return to form that some fans may have expected/hoped for, when it was revealed that the band was working on an "Operation: Mindcrime (1988)" sequel, but it´s not completely redundant either. A 3 star (60%) rating is warranted. 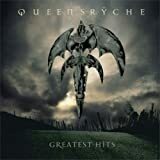 "Tribe" is the 8th full-length studio album by US heavy metal/hard rock act Queensrÿche. The album was released through Sanctuary Records Group in July 2003, almost 4 years after the release of the predecessor "Q2K (1999)". Since the release of "Q2K (1999)", guitarist Kelly Gray has left, leaving Queensrÿche a four-piece. Although it had been quite a few years between albums, Queensrÿche found themselves short of material before entering the studio to record "Tribe", and therefore opted to contact former Queensrÿche guitarist and composer Chris DeGarmo to hear if he would help contribute material for the album. DeGarmo accepted, but after writing some tracks, co-writing a few others, and playing some guitar parts, he left the sessions. Mike Stone was recruited to complete the recording sessions and ended up being hired permanently. I´m not sure if it is DeGarmo´s presence or his songwriting contributions, which have done it, but after a couple of lacklustre albums, Queensrÿche have actually produced a pretty good quality heavy metal/hard rock album in "Tribe". Several of the tracks featured on the album are memorable (tracks like "Open", "Blood", and "Desert Dance") and the well sounding production also helps being out the best in the material. There´s a strong conviction behind the performances which is audible too and upon conclusion I´m left with a nice positive impression when the 10 track, 41:41 minutes album is over. 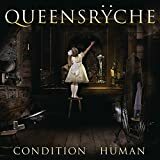 Yes it´s not as interesting as the early releases by the band, and this more hard rock infused "mature" sound has a tendency to become a bit tedious, but on "Tribe" I think Queensrÿche have hit a good balance and a generally high quality songwriting level and therefore a 3.5 star (70%) rating is deserved. 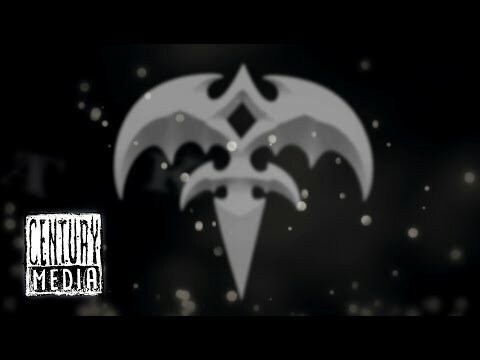 "Operation: Mindcrime" was, and still is, a legendary release in the world of metal, and it was appreciated not only within the sphere of progressive metal, but by fans of all sorts of different types of metal. And listening to the album, one quickly realizes why - it's simply amazing. "Operation: Mindcrime II" is the sequel to "Operation: Mindcrime", but it was never as successful, and some people don't even like it. Personally, I like "Mindcrime II", although not as much as the original "Mindcrime", for having a more updated sound and not just being a repetition of first one. Anyway, this live DVD gives you both albums performed live in their entirety at The Moore Theater in the band's hometown Seattle, and whether you like "Mindcrime II" or not, you are in for a treat with the performance of both albums. 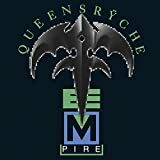 This show has everything that the thinking man, or person to be non-sexist, of metal should love about Queensrÿche: rock 'n' roll, drama, political messages, social commentary, special effects and artistic visual stage props. This is theatrical heavy metal at its best: accessible yet thought provoking. And it holds up all the way through, so even if you don't "Mindcrime II" as much as the first one, you are certain to be entertained by its performance on this DVD. The concert itself is great, but considering myself a thinking man pf metal, I like informative bonus material, too, and I think the quality of the bonus material is a bit so-so... with one exception. The bonus material includes a version of "The Chase" which was recorded live in L.A. featuring Ronnie James Dio, performing live as Dr. X; in the light of his recent tragic passing, this particular bit of bonus material becomes additionally valuable, I think. And it's a great performance in itself, too. 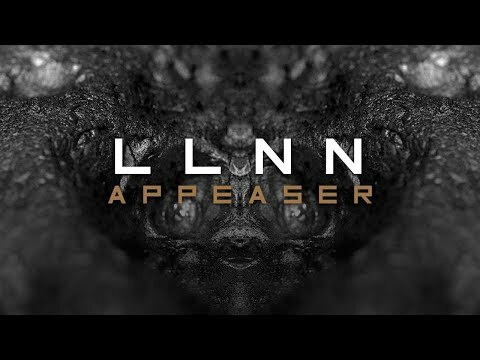 Recommended to fans of Queensrÿche, progressive metal and traditional heavy metal and hard rock. 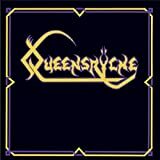 It’s become a tradition with rock and metal bands that release a concept album to perform it live from beginning to end, and that’s what the video Operation: Livecrime showcases, with Queensryche performing their landmark 1988 release. As anyone who’s heard the Operation: Mindcrime album, the band can often have as many (or more) pop elements as metal. Seeing their stage show on DVD, this aspect is there to witness, from headset microphones to Chris DeGarmo’s chaps. I can tolerate most of the pop aspects of the band especially considering the time of the video’s initial release (1991), but some of the stage moves I find to be quite humorous and actually take away from the power of some of the songs. Thankfully, much of the prancing about stage dies down past the halfway point of the show. It must be some combination of fatigue and the realization that most of the crowd consists of males. But seriously, this DVD is actually a pretty good release. The stage show includes effective visual aids that help piece their Mindrcime concept together, and the footage is shot with high quality. There’s a decent amount of bonus footage here as well, which includes a brief interview with singer Geoff Tate regarding the band and various aspects of the Mindcrime album. Two bonus songs are also hidden as easter eggs on the DVD, "The Lady Wore Black" and "Roads To Madness”. Based on the rating system, this DVD is fitting of a 3 star rating. While certainly an entertaining release, I wouldn’t consider it to be essential. I’m not as drawn to watch this performance as I am to simply listen to the Mindcrime studio album. It must have sounded great on paper - let's make a DVD that is totally in a sepia tone and use amateur and professional footage to create an artistic concert experience. Unfortunately, this is a washed out experience and dull to the max apart from a couple of excellent tracks. The set is based on the 'Tribe' album which is not the best QR by any standards. There are only two tracks from 'Operation Mindcrime' - a tragedy as that is their masterpiece. The pleasant surprise is the special guest appearances of Dream Theater, one of my all time favourite bands. They join QR to play two brilliant versions of 'Comfortably Numb' and 'Won't Get Fooled Again'. The two tracks make this worth watching to the end, but I believe you will be ffwding this DVD to those tracks after one viewing. Without the colourful lighting and occasional 'Operation Mindcrime' track, the concert is very disappointing. No colour makes a boring experience when watching a band perform. What a waste of talent, time and energy. Get hold of 'Operation: Live-Crime' which is brilliant, and leave this 'Art(less) of Live' on the shelf.